If you’re reading this page, then you’re probably on the fence between 2 of the most popular meal delivery services, Blue Apron and Home Chef. Both meal prep delivery companies are quite good and a sharp contrast to the buying process and prices you’ll find, if you had to take the time to do grocery shopping and finding recipes on your own. However, each of these meal prep services have their pros and cons. Read on for our full Blue Apron meal delivery service and Home Chef meal prep delivery review. Confused about just which meal kit service you should get? On the one hand, there’s Home Chef, and on the other, there’s Blue Apron. Which one is right for your kitchen? Keep reading for a full comparison. Home Chef meal prep services offers a bit more flexibility as they have meal delivery service plans catering to two, four, or six people. Their minimum selection is two dishes a week. Home Chef has no maximum limitations. They do have a new feature called “Customize It” where you can exchange proteins, upgrade your quality of meat cut, and even double the protein volume in meals selected with the customization logo. 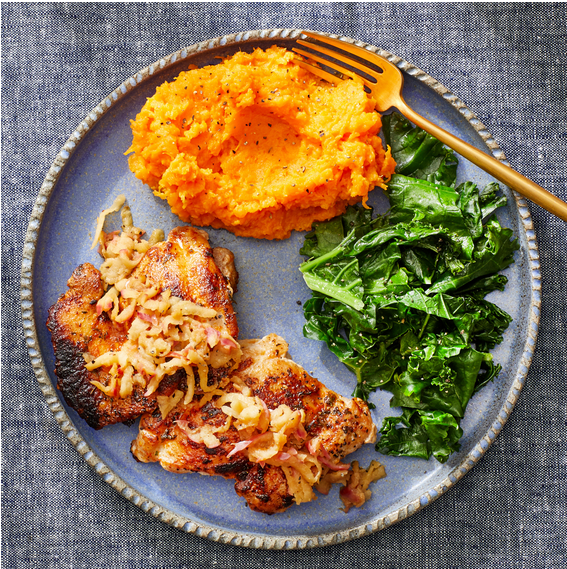 Blue Apron meal prep delivery provides consumers a pair of differing home delivery meals plan options. There are plans for just two people but also family plans that work for four people. The two-person plan can do two to three recipes every week, and the family plan does four dishes every week. In terms of dish variety, there are flexible healthy food delivery options with Home Chef. They offer as many as 18 dishes every week, even including a trio of lunch options that are ready in 5 minutes without cooking. However, many people are covered by your plan, you can pick from all of them. Blue Apron offers consumers up to 8 dishes a week in its classic plan for two people and four dishes on its family plan. 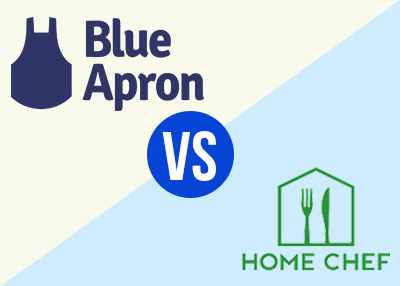 When you compare their diversity, Blue Apron and Home Chef both offer some of the best meal delivery service meals that have tremendous diversity, both in regard to their base ingredients (meat, veggie, poultry, fish, etc.) and their style of seasoning (Italian, classic, Asian, Mexican, etc.). Both Home Chef and Blue Apron offer up dishes which taste wonderful, and everything that we tried was truly delicious. It seems like Home Chef is trying to emphasize family home dinners more, so they’re recipes are a bit more classic, and yet with a twist. They’re not exactly overly complex or sophisticated, so they work as well for busy adults as they do teens and kids. Blue Apron has meal delivery plan options that are a bit more upscale, but the recipes are still pretty easy to follow. After getting boxes from both of these companies, I can tell you with confidence that both of them use high-caliber ingredients in their kits. Home Chef has actually partnered with a number of reputable producers in order to source their ingredients. A number of these include Paysan Breton Butter, Sea to Table for their sustainably-sourced seafood, and World Wide Farms for fresh vegetables and herbs. When you look at Blue Apron, on the other hand, they offer assurances that their meat has no additional hormones, their veggies are all farm fresh and organic when possible, and that they only use sustainably-sourced seafood. Both Home Chef and Blue Apron use carton boxes that are specifically labeled and designed for them. Inside each box, the proteins are cooled on the bottom with enough ice, to the point that they can stay safely outside for several hours. Home Chef takes steps to make sure every dish is organized individually. Every dish shows up in distinctly labeled and transparent plastic bags. The box is quite organized, and you can see the ingredients in every bag quite clearly. Alternatively, Blue Apron won’t label most of its ingredients, meaning they’re all packed up together in their box. So, with them, you have to sort out each dish’s ingredients. The one thing that does come wrapped is the small bag of seasonings and spices. Each home delivery food company offers websites and apps that are not only highly organized but also quite friendly. You can do registration, pick your fresh food delivery plan, and change it, as well as define the eating preferences you have while picking out the weekly dishes and changing your payment method online. This can all be done quite easily and without a lot of stress. Both Home Chef and Blue Apron offer subscription services, meaning you don’t have options of ordering “one time” individual meals. They are flexible in terms of holding an account, however, if you ever need to occasionally skip a week. They can also be flexible in terms of your delivery day choices. Home Chef offers account cancellation through their website. Blue Apron does require contacting customer support for account cancellation, however this can be done via email and you will typically get a same-day response. Home Chef provides several useful add-ons, including a wide variety of 5-minute lunches that don’t require cooking, including bowls, salads, and sandwiches. There’s even a smoothie with a different flavor every week, as well as a seasonal fruit basket. Blue Apron also has add-ons, including a broad range of wines available as a monthly subscription, where you get six bottles that you select. They’ll even offer suggestions about the right wines you should pair with every dish. They even have a retail service where you can get cookware and fundamental kitchen supplies. 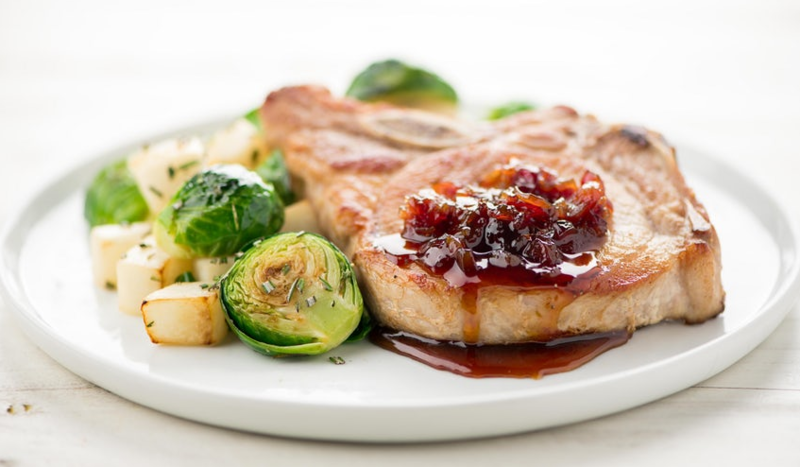 Both Blue Apron and Home Chef are great meal kit options that appeal to identical audiences who want familiar and classic dishes with some interesting twists. Having said that, we think Home Chef wins in nearly every category. Their recipes taste better, they offer more dishes in terms of both variety and volume, their portions are better, the packaging is a lot more convenient, and their customization options are superior. The additional possibilities of seasonal fruits, weekly smoothies, and 5-minute lunches are also awesome. But I do like Blue Apron’s “Freshness Guarantee” and if you are looking for exotic flavors in your recipes and ingredients that are typically hard to find at the local grocery store, then Blue Apron may be the company you are looking for.